Whether you’re a first-timer, an advanced climber, or somewhere in between, our professional White Pine Touring guides can show you an exhilarating and memorable climbing experience. 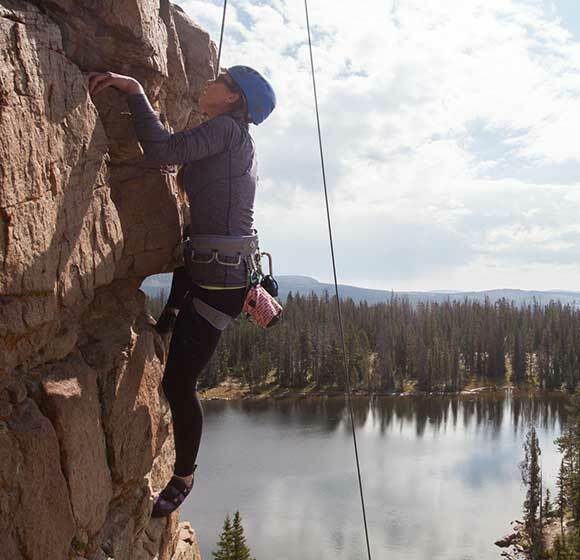 Our rock climbing tours take place in the beautiful Uinta National Forest, which is just a 45-minute drive away from Park City. This true backcountry wilderness is known for breath-taking vistas, countless lakes, and great quality rock for climbing. For more information call our Experts at White Pine Touring at 435-649-8710 or email us at experts@whitepinetouring.com. For years, we’ve held guide permits at Cliff Lake and Wall Lake, which both offer a variety of beginning and intermediate top-rope climbs with gorgeous alpine lake views. We now also hold permits for Ruth Lake, known as an intermediate and advanced sport climbing destination; and Stone Garden which features some classic hard climbs. 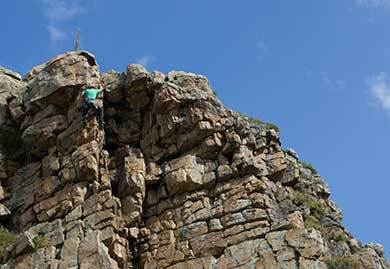 And we’re proud to be the only guide service with access to Iron Hayden’s multi-pitch climbs at Hayden Peak. 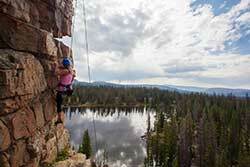 Our guides feel lucky to share their deep love of climbing and of the Uinta Mountains with our clients. They take care of all the logistics for you including transportation, equipment, and location choice. 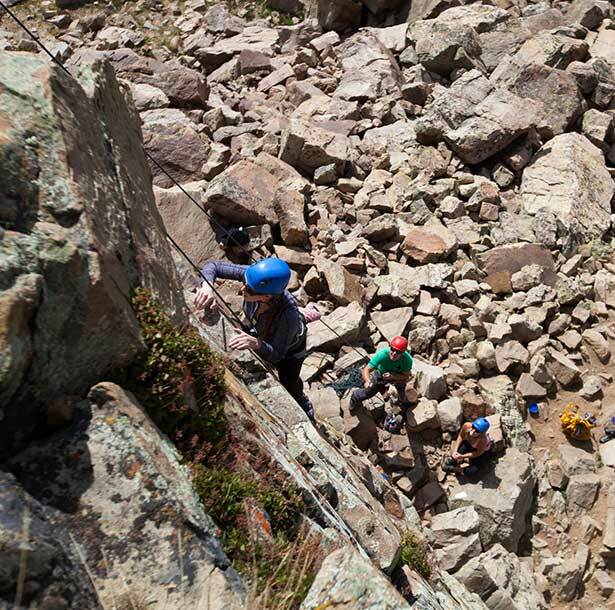 After a short approach hike, your guide will set up a top-rope that will hold you up even if you let go of the wall completely. 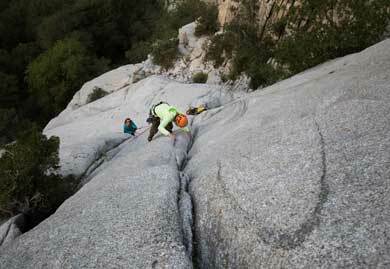 Advanced climbers have the option to work on sport or trad climbing techniques, under careful Expert guidance. In addition to having local knowledge and climbing expertise to share, our guides also are Wilderness First Responders who are certified in First Aid and CPR. 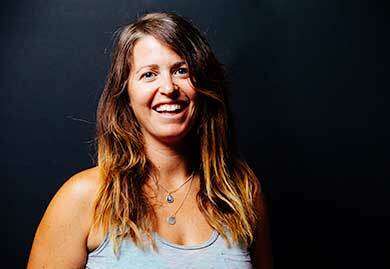 A climbing guide for 11 years, Shaun enjoys helping novice and advanced climbers exceed their expectations. Her favorite place to guide is Cliff Lake because the vistas are fantastic, you’re perched over a glacial lake and the array of routes is ideal for guiding climbers of all levels. Raised on trad climbing, Weston likes the purity of it, even though he focuses on sport climbing while guiding. He enjoys seeing people appreciate the beauty of the Uintas. Also a mountain bike guide, Weston loves the remoteness of climbing and the ability to really get away from it all. 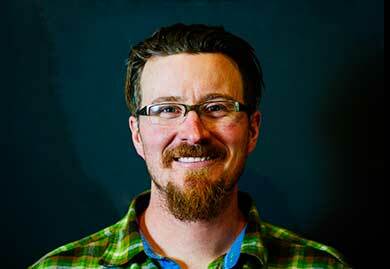 Chris Brown has been guiding rock climbing for White Pine Touring since 2012, and is certified by the American Mountain Guides Association (AMGA) as a Single Pitch Instructor (SPI). His certifications also include WFR, OEC, and CPR/AED. Blake has been guiding with White Pine for almost decade. Iron Hayden is his favorite crag for guided climbing since adventure is guaranteed. Blake is a certified Wilderness First Responder and also holds the American Mountain Guide Association SPI certification.